My readers know that I have been reporting on MGX Minerals (CSE: XMG / FKT: 1MG / OTCQB: MGXMF) for 3 years . The stock price has been acting a little bipolar but trading a lot higher from the first time I initiated coverage. Kudos goes to visionary president Jared Lazerson who has been working diligently with partner PurLucid Treatment Solutions (among other partners and ventures), to put in place a lithium and petrolithium extraction and water treatment system. When I heard that MGX and Purlucid will be demonstrating the unit I almost flew off my chair with excitement. I greeted the news with “hallelujah”. I will be at the event in Calgary Alberta with my questions ready for the Purlucid team. I’m prepped to see this unit in action. As taken from the news release dated May 31, 2018, “MGX Minerals and partner Purlucid Treatment Solutions are pleased to report that, prior to deployment, demonstration of the NFLi-5 commercial-scale rapid lithium extraction system, capable of processing 750 barrels per day (120 cubic meters), is scheduled to take place immediately with oil and gas companies, industrial customers, lithium brine owners and international media scheduled to view the system. Demonstration of the lithium and petrolithium extraction and water treatment system will take place in the first half of June at the PurLucid manufacturing facility in Calgary, Alberta. Understandably, investors have been waiting with baited breath for a successful deployment of this unit and for concrete contracts. PurLucid water treatment technologies, which purify wastewater brine, have been integrated with a newly developed lithium recovery process. Combined, this Cleantech process reduces the capital cost of recovery compared to traditional solar evaporation as it does not require the investment in large, multi-phase, lake sized, lined evaporation ponds, greatly reducing the physical footprint and enhancing the quality of extraction and recovery across a complex range of brines previously considered un-processable due to complexity or geographical location outside of solar evaporation appropriate zones. This includes oil and gas wastewater, natural brine, and other brine sources such as lithium-rich mine and industrial plant wastewater. MGX holds the global rights to the jointly developed lithium extraction technology while PurLucid retains the rights to the pre-treatment water purification and core technology. Stay Tuned and Happy Investing! 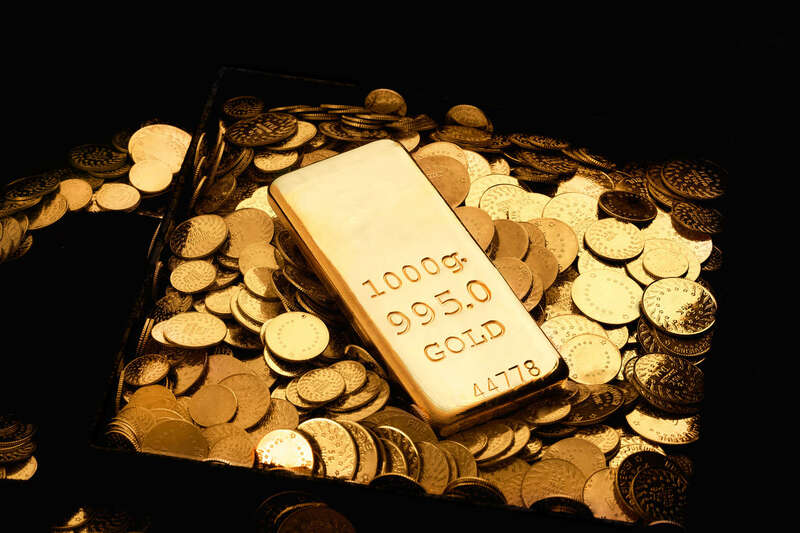 Junior Gold Report and TechMoney360 Newsletter: Junior Gold Report’s and Tech Money 360’s Newsletter is published as a copyright publication of Junior Gold Report (JGR) and TechMoney360 (TM360). No Guarantee as to Content: Although JGR/TM360 attempts to research thoroughly and present information based on sources we believe to be reliable, there are no guarantees as to the accuracy or completeness of the information contained herein. Any statements expressed are subject to change without notice. It may contain errors and you should not make any investment decisions based on what you have read on here. JGR/TM360, its associates, authors, and affiliates are not responsible for errors or omissions. By accessing the site and receiving this email, you accept and agree to be bound by and comply with the terms and conditions as set out herein. If you do not accept and agree to the terms you should not use the Junior Gold Report and TechMoney360 sites or accept this email. Consideration for Services: JGR/TM360, it’s editor, affiliates, associates, partners, family members, or contractors have an interest and position in the featured company (MGX Minerals), as well as sponsored companies which compensate JGR/TM360 as such our opinions are biased. We do hold shares in and trade these stocks of the companies we profile and as such our opinions are biased. JGR/TM360 and its’ owner and affiliates/associates may buy/sell and trade the featured companies from time to time. JGR/TM360 has been paid by the MGX Minerals in the form of cash, shares and stock options. Thus, multiple conflicts of interest exist. Therefore, information provided here within should not be construed as a financial analysis but rather as an advertisement. Conduct your own due diligence: The author’s views and opinions regarding the companies featured in report(s) are his/her own views and are based on information that he/she has researched independently and has received, which the author assumes to be reliable. You should never base any buying/selling/trading decisions off of our emails, newsletter, website, videos or any of our published materials. JGR/TM360 aims to provide information and often stock ideas but are by no means recommendations. The ideas and companies featured are highly speculative and you could lose your entire investment – consult a licensed financial advisor if you are considering investing in any of the featured companies. Subscribers/readers are encouraged to conduct their own research and due diligence. The companies mentioned are high risk and considered penny stocks that contain a high risk of volatility, therefore consult your investment advisor and do your own due diligence before purchasing. Never base any investment decision on information contained from our emails, newsletter, website, videos or any of our published materials. No Offer to Sell Securities: JGR/TM360 is not a registered broker dealer, investment advisor, financial analyst, stock picker, investment banker or other investment professional. JGR/TM360 is intended for informational, educational and research purposes only. It is not to be considered as investment advice. No statement or expression of any opinions contained in this report constitutes an offer to buy or sell the shares of the companies mentioned herein. Links: JGR/TM360 may contain links to related websites for stock quotes, charts, etc. JGR/TM360 is not responsible for the content of or the privacy practices of these sites. Information contained herein was extracted from public filings, profiled company websites, and other publicly available sources deemed reliable. Information in this report was taken on or before writing and dissemination and may not be updated. Do you own due diligence as information and events can and do change. Published reports may reference company websites or link to company websites and we disclaim and responsibility for the content and accuracy of any such information or website. Cautionary Statement: MGX may decide to advance its petrolithium projects into production without first establishing mineral resources supported by an independent technical report or completing a feasibility study. A production decision without the benefit of a technical report independently establishing mineral resources or reserves and any feasibility study demonstrating economic and technical viability creates increased uncertainty and heightens economic and technical risks of failure. Historically, such projects have a much higher risk of economic or technical failure. All statements in this report, other than statements of historical fact, should be considered forward-looking statements. Release of Liability: By reading and/or watching videos by JGR/TM360, you agree to hold JGR/TM360, its associates, sponsors, affiliates, and partners harmless and to completely release them from any and all liabilities due to any and all losses, damages, or injuries (financial or otherwise) that may be incurred.